Faber and Faber, the independent British publisher founded in 1929 by Geoffrey Faber (there was only one Faber), has a rich and immediately recognisable tradition of cover design. The archetypal Faber book, typically by Beckett, Eliot, Plath or Durrell, shouts from the shelves of literary bookshops with strong, strident lettering and typography. Many of its most iconic examples were made by art director Berthold Wolpe (1905-89), a German refugee who joined the publisher in 1941. Wolpe’s reign continued until his retirement in 1975. Pentagram’s John McConnell masterminded an extensive rebrand in the 1980s (a version of their company logo is still in use) and Faber continues to commission designs that hark back to the company’s earliest days: big type and a strong, idiosyncratic colour palette. off-putting to newcomers and annoying to anyone familiar with the work. 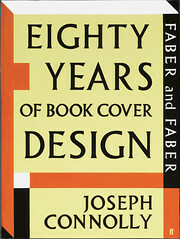 After two sections covering the company and Wolpe himself, there is a chapter for each decade: a short text is followed by a mass of covers, presented without captions or credits, an organisational strategy that is frustrating for anyone interested in the design and illustration of the covers. The most compelling part of the book, once you get past the author’s flowery style, is a short appreciation of Wolpe, who had designed Albertus, soon to be termed ‘the Faber typeface’, while still in Germany, nine years before he joined the publisher. 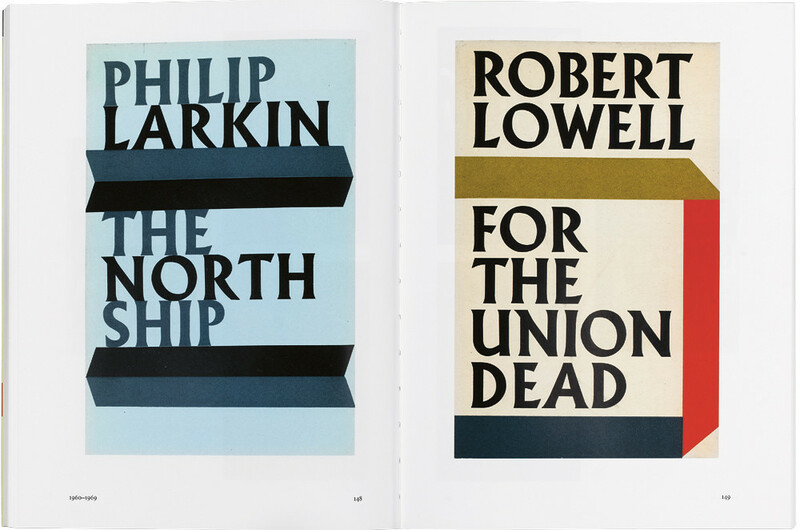 Top: spread from Eighty Years of Book Cover Design, showing two of Berthold Wolpe’s archetypal poetry covers from the 1960s.